You are here: Home > Articles > Invite A Friend To Alpha! Equipping you to share the gospel is why we run Alpha at PLC. Here are six activities that will equip you to invite people to Alpha and share your faith. Following these guidelines will help you be intentional about sharing your faith. For those who do not know Christ, an invitation to know him is a matter of life and death. We want all of God’s people to have the best life possible in His Kingdom now. Take Action: Make an appointment with God every morning. Write it on your calendar. Set an alarm on your phone. Eliminate distractions. Do what it takes to begin your day in prayer. Then spend time with him. Thank God for the opportunity to partner with him. Ask him to open your eyes to opportunities to invite people into a conversation about Jesus. Pray for people by name. Ask him for wisdom and discernment as you pray for those who he reveals to you. Ask for boldness, strength, and perseverance to follow through. Take action: You are a living testimony of the love Christ has for everyone. What you do and say matters! Review the nine-fold fruit of the Spirit each day. Which ones were reflected in your interactions with others? Perhaps share around the dinner table what fruit of the Spirit each of you saw reflected in your family members that day. This will keep before you how you are living the love of Jesus in your daily life. Take action: Develop relationships with neighbors and co-workers. Invite people who are not yet believers or have drifted away from church to service projects and activities where they can build relationships with other Christians and experience Christian community. Have a conversation with someone new you see at church. Join a local fundraiser and invite a friend or co-worker to do it with you. Some Christians think that faith is a personal matter that should be kept to themselves, but Peter instructs all Christians, “You must worship Christ as Lord of your life. And if someone asks about your hope as a believer, always be ready to explain it. But do this in a gentle and respectful way.” (1 Peter 3:15-16) When we are asked about our faith, our Christian perspective, or lifestyle, we should be ready to respond with gentleness and respect. Take Action: Know your story and be prepared to share it. How would you answer these questions: Why are you a follower of Jesus? What is your relationship with Jesus like? How has God been at work in your life today, this week, and this month? How is your life different because of your relationship with him? Put some thoughts together now. You might want to write it out. Practice telling it. Remember to always do so with gentleness and respect. Take Action: Who can you invite to come and see? Invite your potential guests to COME WITH YOU to Alpha. People respond more readily to an invitation to join you than if you don’t intend to come along with them to Alpha. Make your invitation personal. Why do you want them to join you? How has a personal relationship with Jesus impacted or changed your life? 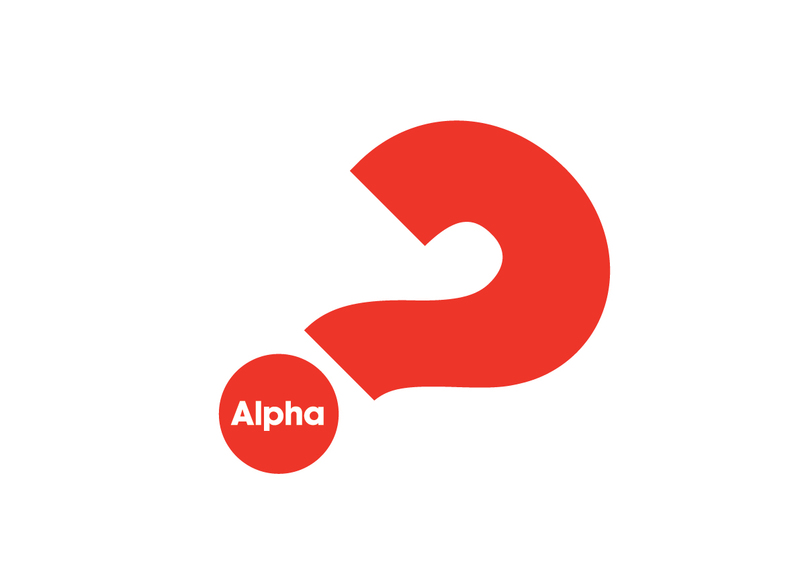 Share what you experienced on the Alpha Course. If you haven’t taken Alpha, now is the time to do so, so that you can speak about it from experience. Reassure the people you invite that Alpha is a safe place to ask questions and express opinions in a non-judgmental atmosphere. Carry some Alpha invitations with you to share. After the Resurrection, before returning to the father, Jesus left his disciples with this, “But you will receive power when the Holy Spirit comes on you and you will be my witnesses, telling people about me everywhere – in Jerusalem, throughout Judea, in Samaria, and to the ends of the earth.” (Acts 1:8). Take Action: Think about how your lifestyle reflects that you are a follower of Jesus. Do your words and actions reflect the Fruit of the Spirit? Is Bible study, regular worship, and prayer a priority in your life? In what ways are you actively serving in the church and community? Are you sharing your faith and living an invitational lifestyle? Are there areas of your life where you need to take action to align your priorities with those of a disciple of Jesus? Pray for that today using Acts 1:8 as a guide and then take action. Be intentional in living the lifestyle of a disciple. As you do, it will become natural to invite people to explore the Christian faith at Alpha.